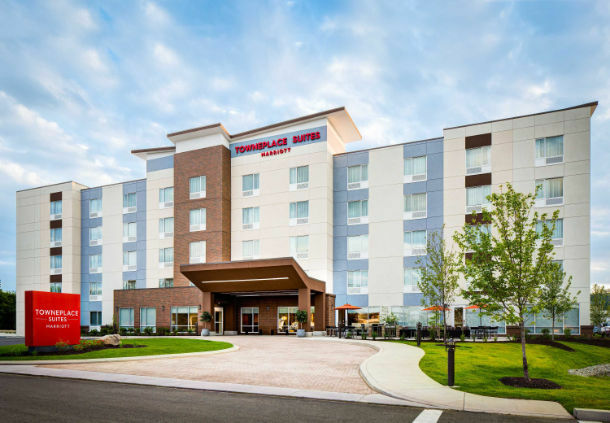 COOKEVILLE – Cookeville welcomed its first TownePlace Suites by Marriott when the new 92-suite hotel opened for business Thursday. Located at 1250 Sams St., the new hotel will operate as a Marriott franchise, owned and managed by Gibson Hotel Management of Knoxville. On average, a TownePlace Suites opens every six days. The new TownePlace Suites Cookeville offers guests convenient access to Tennessee Tech University, Cookeville Regional Medical Center, endless waterfalls, lakes and state parks, officials said. It’s located just five miles from Upper Cumberland Regional Airport and five minutes from downtown. All service team members at the hotel are thoroughly trained on local knowledge and look forward to connecting guests to the local area. The property offers studio and one-bedroom suites with fully equipped kitchens, as well as separate living/working and sleeping areas. Full kitchens feature stainless steel appliances and granite countertops, adjustable work spaces with built-in shelves and lighting, a large flat screen television, as well as luxurious bedding. Full kitchens feature stainless steel appliances and granite countertops. While on property, guests can create their own complimentary hot breakfast every morning in the lobby area, and can fire up their stay by grilling up dinner with our Weber Grill package. A 24-hour market and coffee service offer guests the chance to get their snack and caffeine on whenever they feel the need. Other hotel amenities include an outdoor pool, an exercise room open 24 hours per day, laundry facilities, complimentary Wi-Fi throughout and on-site business services, including copying, faxing and printing. A 279 square-foot meeting can accommodate functions of up to 40 people. The Gibson Hotel Management leadership team is comprised of General Manager Kerry Ledbetter and Director of Sales LaShaun Jones. The Gibson group initially targeted a September completion after announcing the project in fall 2015. TownPlace is an extended-stay brand, the first in the Upper Cumberland. Initial rates ranged around $119 a night for a one-week stint.